Are you stuck with a vehicle that fails to start? Do not fret. 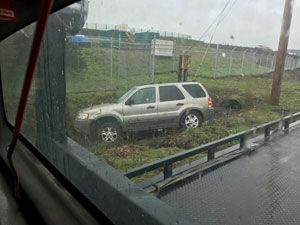 Relax and place a call to Seattle Towing Company. We are available 24/7 to provide emergency towing services in Ballard, WA and will have a tow truck dispatched to your location in the shortest time possible. You can breathe easy and understand that we will soon get you back on your way. We are equipped to tow all types of vehicles. Owners and drivers of cars, vans, SUVs, motorcycles, school buses, RVs and box trucks can get in touch with us whenever they need towing services. We offer tow service for diverse transportation needs. From providing emergency towing help for collision-damaged vehicles to hauling machinery and construction equipment, we do it all. We believe that an efficient tow job results from skilled tow truck drivers and technicians reaching the site without any delay with well-maintained, reliable tow trucks. That is precisely why we have invested in the finest of resources, both human, technological and mechanical. Our company provides its alert and proactive dispatchers with a state-of-the-art communication system. 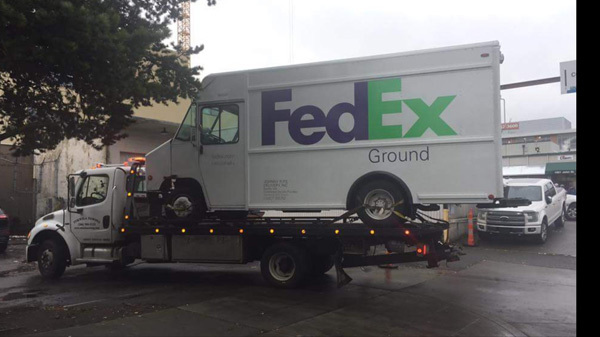 It allows them to send the tow truck crew ASAP to help Ballard customers. We hire licensed and insured drivers who are proven pros and intimately familiar with the community. It can be very inconvenient and very frustrating to be stranded by the roadside with a vehicle that has broken down or has gotten damaged in an accident. We understand this and have made it our business help with the discomfort and annoyance of the vehicle owners. We do so by ensuring a quick response time from our emergency towing team. 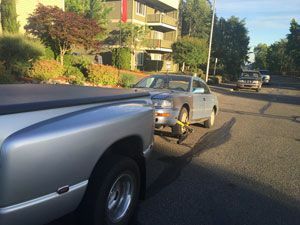 Call Seattle Towing Company when you need a tow truck in Ballard for emergency towing and other hauling jobs. Call (206) 399-0366.